Beach Party: 25 Years of Fun in the Sun! The annual Decatur Beach Party is coming up soon- June 18th from 5 pm until midnight. This year there will be three bands! 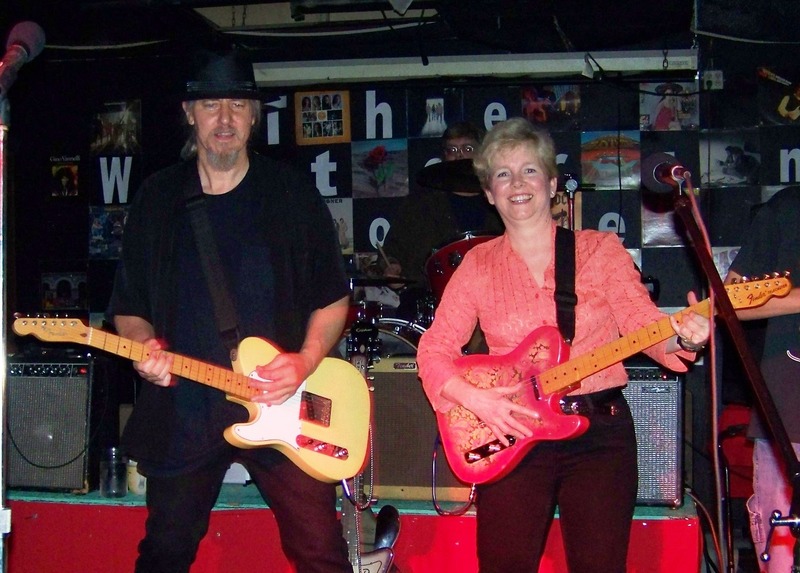 Douglas Brake and the Sizzle Hiss Pop Band will play in the Children’s Boardwalk Area beginning at 5pm. The Reputations will play on the Bandstand from 5 pm until 7:30 pm and Terry Lee & The GTs will play on the Plaza Main Stage from 8pm until midnight. Click here to hear them playing at last year’s event. The Children’s Boardwalk area features some new games and activities that will be fun for all ages. The Beach Party is produced by the Decatur Business Association and the City of Decatur. Sponsors for the event are Eagle Rock Distributors and Kona Beer, HLM Financial, FUZE beverages, Standard Parking, Barefoot Wine and Bubbly, Junior Pippin Trucking Company, Holiday Inn Decatur, Brick Store Pub, Amusement Masters, Leapin’ Lizards, Nanston Dental, Dixie Homecrafters, DeKalb Medical,Vulcan Materials, Claearwire and Cultural Care Au Pair. Tickets are $6.50 in advance and $10 at the gate. Pre-sell tickets will be available until noon on Friday, June 18 here. Children under 12 are free, limit 2 per paying adult. No coolers, picnic baskets, glassware or pets will be allowed in the festival area. The event is held rain or shine, but it won’t rain! We suggest taking MARTA to the event as it is held directly over the Decatur Rapid Rail Station. If driving, free parking is available in the DeKalb County Parking deck after 5 pm. The deck is located at the corner of Commerce and Trinity Place. See you on Decatur Beach! Head over to the Old Courthouse Square in downtown Decatur this Saturday night to hear Tom Hill and the Midnight Suns perform at the Concert on the Square. Band members Tom Hill, Jojo “Bongos” Bailey and David Wallace are Decatur High School Alumni and very excited about playing for the Decatur community. The band will also feature a special performance by “The Shinettes” which include Decatur Alumni Annette Shinette (aka Stella) and Margie Hardy as well as other special guests. 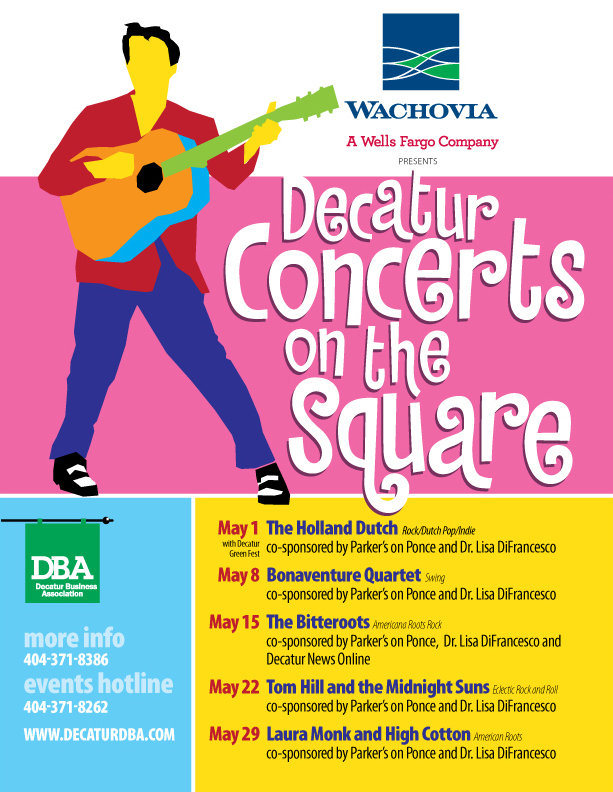 The Decatur Business Association produces the Concert Series every Saturday in May and September which is sponsored by Wachovia/Wells Fargo bank. Co-sponsors for this week’s concert are Parker’s On Ponce and Dr. Lisa DiFrancesco. Pack your picnic or stop by one of our many restaurants for dinner before or after the concert. The music begins at 7 pm and is free to the community. 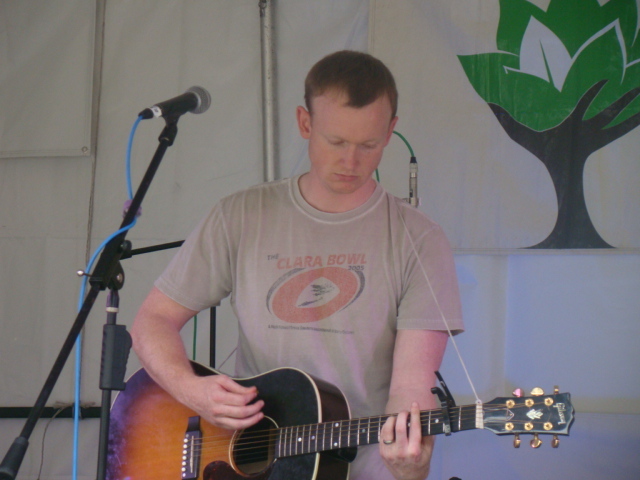 This week’s Blue Sky Concert features Decatur’s own Mike Killeen! Mike is currently working on his fifth album, “Poverty is Real “and preparing for its release in late 2010. Originally from Athens, Georgia and now living in Decatur, Mike counts Bob Dylan, Vic Chesnutt, Nirvana, and Uncle Tupelo among his formative influences. He has shared the stage with southern rock legends the Marshall Tucker Band and Grammy Award winners, The Blind Boys of Alabama. 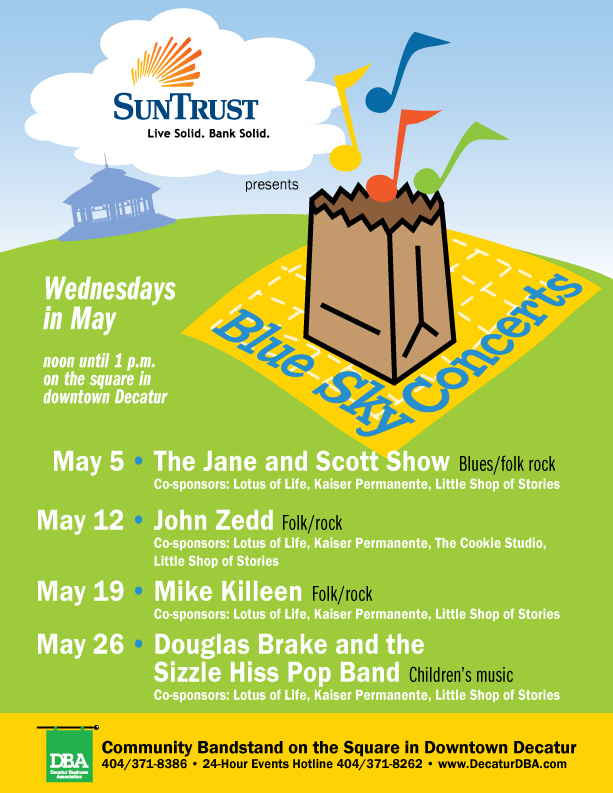 The Blue Sky Concerts are held each Wednesday at noon in May and September and offered free to the community by the Decatur Business Association and presenting sponsor SunTrust Bank. Pack your lunch or pick up something to-go from one of our may fine restaurants. There is no excuse to stay home this weekend with so many choices of things to do. The weather will be beautiful so get out and enjoy your hometown! 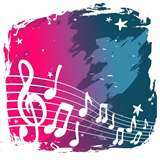 The Lakeside High School Jazz Band will be performing on the Bandstand on the Old Courthouse Square tonight from 6:30 until 8:30 pm. Bring a lawn chair and enjoy the free show. The Decatur Market and Gallery will hold an Opening Reception on Saturday from 5 until 10 pm featuring Mohamed ElGanoby who does encaustic paintings on wood. 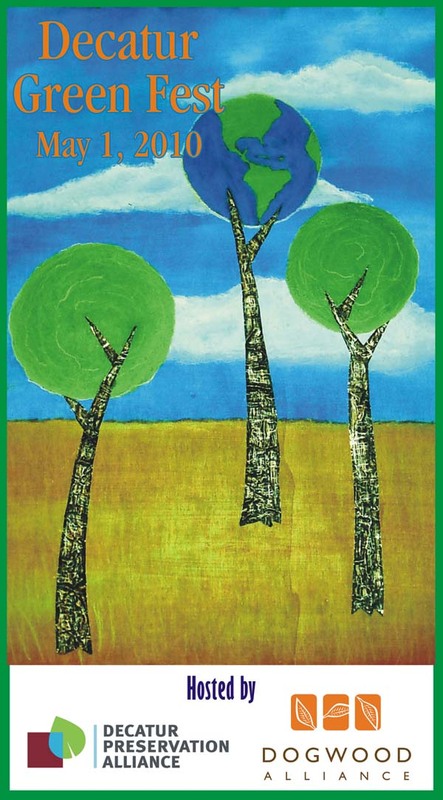 These organic works have depth, texture and vibrant color. The gallery will be serving Egyption food and the outside artists’ market will be open as well. The reception is free to the community. The Seen Gallery on Church Street is proud to host a showing of modern Australian landscape painting from the perspectives of two non-aboriginal natives who have been shaped by the land where they live, and approach their techniques from two completely different perspectives. The opening reception will be held on Saturday night from 7 until 10 pm. Be sure to stop by to meet the artists as well as view the other artwork in the gallery. On Saturday the Oakhurst Community Garden invites you to join hundreds of fellow garden lovers and martini drinkers from 5:30 – 8:30 pm for the 5th Annual Martinis in the Garden. During this outdoor party you’ll stroll and dance among martini bars, fresh food stations and silent auction tables set amid the blooming garden plots, the greenhouse, the earthen playhouse, the “carnivorous” bog and Team Chicken’s famous coop. Tickets are $50 at the door. 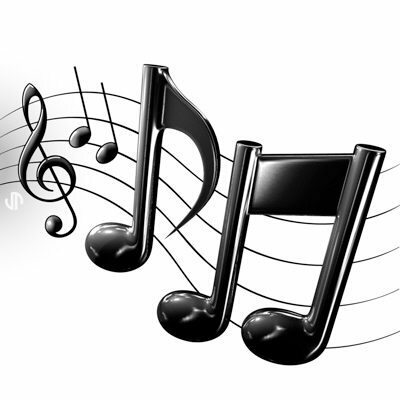 On Sunday afternoon at 3 pm, join the Decatur Civic Chorus as they present their 62nd annual Spring Concert at the First Baptist Church of Decatur. The concert is a “Centennial Celebration of Johnny Mercer and a Salute to our Armed Forces”. The concert is free to the community and part of the annual Decatur Arts Festival May events. And last, but certainly not least, the Decatur Business Association invites you to hear The Bitteroots at the Concert on the Square on Saturday evening from 7 until 9:30 pm. The concert is free to the community, so bring your picnic or stop by one of our many fine restaurants before or after the concert and make a full evening of it. I hope to see you in Decatur this weekend! The Bitteroots are playing the Concert on the Square this coming Saturday night, May 15. The concert begins at 7 pm on the Bandstand located on the Old Courthouse Square in downtown Decatur. According to their Facebook page, The Bitteroots are a new Atlanta band carving out a sound reminiscent of the past masters dressed up with a modern flavor all their own. Pack a picnic or stop by one of our many fine restaurants before or after the concert. The Concert series is presented free to the community by the Decatur Business Association and Wachovia/Wells Fargo Bank. Co-sponsors of the Concert are Parker’s on Ponce, Dr. DiFrancesco and Decatur News Online. If it’s May, it must be time for the return of Blue Sky Concerts on the Square! Presented by the Decatur Business Association and SunTrust Bank, the concerts are a great time to gather on the square for a mid-day break. This week’s concert features Decatur musician John Zedd. Stop by one of Decatur’s many restaurants and order a lunch to go and join us on the Square. The concerts begin at noon and run until 1 pm. Happy Mother’s Day to all the moms in Decatur! Many of our merchants and restaurants are offering specials, so no reason to leave Decatur…..
Greene’s Fine Foods has Bella Cucina “Artful Food” Products, pestos, appetizers and desserts on special: Buy one and get one for half price. Yum! Mom will love a sweet treat. 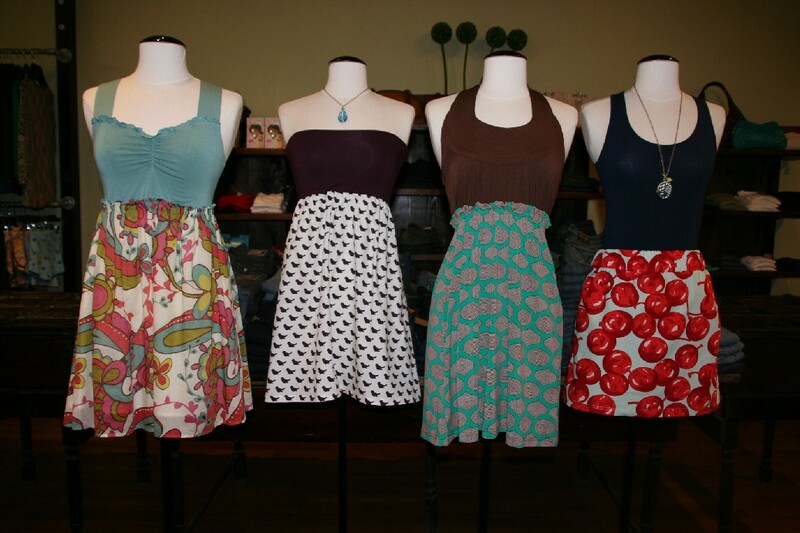 Boogaloos Boutique has some new spring lines including dresses by Judith March. Wouldn’t mom love to have a new outfit to wear? Mamas Bath + Body on East College Avenue has some great smelling gifts for Mom. Pick up some scented lotions and gift sets and help Mom to have a relaxing day. In case one of my boys are reading, I really like the Calming Gift set!! The shop is located behind the Cookie Studio where you can pick up some home baked cookies for Mom’s sweet tooth. Mom would also love to go out to lunch or brunch. Make some reservations at one of our fine dining establishments, but hurry- they are filling up fast! And last, but not least, bring the family up to the Square on Saturday night for a free Concert on the Square. This week’s concert features Bonaventure Quartet from 7 until 9:30 pm. You may want to come up early and browse one of the many shops in Decatur to pick out that something special. Looking for things to do this weekend? Visit Decatur for the beginning of “Festival Season”. Saturday is the first of the May Concerts on the Square as well as the 4th annual Green Fest. The music begins at 3 pm and ends with The Holland Dutch opening up the concert series. To keep up to date on the Concerts, become a fan on Facebook. Another fun event on Saturday is the Urban Coup Tour from noon until 5 pm. You can visit coups all over Atlanta, including the Oakhurst Community Garden. For information and tickets, visit www.oakhurstgarden.org. On Sunday, join Jean Woodall at the Bandstand for Laughter Yoga from 1 until 4 pm. Plan on attending the annual Decatur Green Fest, to be held this Saturday, May 1st from 3 until 9:30 pm. The event helps to kick off the Concert on the Square series and celebrates “being green” with sustainable product vendors, artists working in recycled materials, organic foods, children’s activities and a full schedule of musical entertainment. Night Driving in Small Towns kicks off the event at 3 pm, followed by Decatur’s own Mike Killeen at 4 pm, Sydney Eloise Ward plays at 5 pm, Jeff Hix and the Heretics begin playing at 6 pm, and the Concert on the Square from 7 until 9:30 pm features The Holland Dutch. Atlanta Light Bulbs, Inc. and the City of Decatur have partnered to bring a light bulb exchange to the event. Attendees will receive 1 compact fluorescent light (CFL) bulb in exchange for signing an agreement to discard 1 regular, incandescent bulb when they get home. However, if attendees bring an incandescent bulb to the event, they can receive 2 CFL bulbs! If Spring Is Here, It Must Be Time For Events! This great weather has me longing for events on the square and looking forward to the May Concerts series. May 1st is not only the first Concert on the Square, but also the Decatur Green Fest, which begins at 3pm. The schedule for concerts is below- hope to see you on the square!